W.P. “Ab” Abercrombie, Ph.D. has been in ministry as a Biblical Counselor for more than three decades. After his education in the social sciences, Dr. Abercrombie soon recognized the incompatibility of humanistic psychology and Scripture. Rejecting the secular methods of psychotherapy, he devoted himself to the sufficiency of God’s Word and the working of the Holy Spirit as the key elements of transformational change. As the Founder of the Biblical Counseling Institute, Dr. Abercrombie speaks and teaches throughout the U.S. training pastors, lay leaders, and counseling professionals in the method and practice of biblical care. He holds a M.S.W. degree in Clinical Social Work and a Ph.D. in Human Services with a major in Psychology. He is licensed to practice in both Alabama and Florida as a professional counselor and family therapist, and is an Ordained and Licensed Southern Baptist Minister. Dr. Abercrombie has published numerous articles on Christian and family life and has authored three books: Wonderful Counselor: A Return To Truth (with Dr. Kerry Skinner), CHRISTIAN SHRINKS Answer ALL Your Questions... (with Karen Abercrombie), and My Unexpected New Heart. Dr. Abercrombie’s forth book, Why Biblical Counseling? In Defense of Scriptural Sufficiency, is scheduled for release early in 2018. He travels and teaches throughout the U.S. on the topics of Biblical Counseling and Discipleship. He resides with his wife Karen in Santa Rosa Beach, FL. In addition to his work with BCI, Dr. Abercrombie provides consultation to various churches and evangelical ministries and previously served as the Associate Pastor of Biblical Counseling at Rocky Bayou Baptist Church in Niceville, FL. Dr. and Mrs. Abercrombie have one daughter, Sarah, who is a graduate of The Baptist College of Florida and now lives and works in the Destin, FL area with her beautiful daughter Skylar Michele, the Abercrombies' first grandchild! Karen M. Abercrombie, LMHC, LMFT has been in practice as a Christian Counselor since 1986, specializing in marriage, family, and adolescent services. She has a deep and abiding respect for God’s Word that defines and directs her counseling method. Mrs. Abercrombie holds a Master’s Degree in Counseling and Human Services from Troy State University and is licensed in both Florida and Alabama. She has served the Church as the Director of Women’s Ministries and has been a Core Leader in Community Bible Study. As a faculty member of BCI, she co-teaches Biblical Counseling with Couples and Families I and II and conducts marriage seminars, women’s retreats, and parent training throughout the U.S.
Larry Creamer, M.Div., has served as pastor since 1978 in churches in Florida, Texas and Wisconsin. He has been the Senior Pastor of Valley Baptist Church in Appleton, Wisconsin since 2000. Additionally, Pastor Creamer has been involved in partnership missions to Brazil since 1988, leading mission teams for the Minnesota-Wisconsin Baptist Convention since 1996, and is the former president of the Minnesota-Wisconsin Baptist Convention. Pastor Creamer earned the Bachelor of Theology Degree from what is now the Baptist College of Florida and the Master of Divinity Degree from Southwestern Baptist Theological Seminary. After completing certification in biblical counseling through the Biblical Counseling Institute, he sensed God leading Valley Baptist Church to establish the ValleyConneX Biblical Counseling Center. 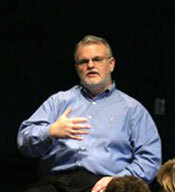 Pastor Creamer serves as director of the counseling center. A dozen people at Valley Baptist Church have achieved certification through the Biblical Counseling Institute with more currently in the program. Pastor Creamer also leads monthly classes which began as continuing education for the ValleyConneX counselors but is now open to all people interested in biblical counseling in northeast Wisconsin. Larry has been married to his wife, Pam for 37 years. They have two sons, Kent and Aaron. John E. Babler, Ph.D. has served in a variety of ministry positions for the last 25 years including pastoral staff positions in local churches, inner-city missions, children’s home ministry with abused and neglected children, hospice, seminary education, and counseling in a variety of settings. He currently serves as Associate Professor of Pastoral Counseling and Warren C. Hultgren Chair of Ministerial Counseling at Southwestern Baptist Theological Seminary in Ft. Worth, Texas. He also serves as Minister of Missions at Birchman Baptist Church, Ft. Worth. After earning a masters degree from seminary and a masters in social work he was challenged to apply Scripture as he ministered to others. Over a period of time he realized that Scripture is sufficient for the counseling task and superior to anything the world has to offer including the behavioral sciences he had studied. His overarching goals in ministry include helping others see the power and sufficiency of God’s Word and teaching people how to minister and counsel with Scripture. He is the co-author of Counseling by the Book and is involved in crisis ministry in a variety of ways including service as the Tarrant County Fire Chaplain. John and his wife Marilee have been blessed with ten children. David R. Penley, Ph.D. has served as Senior Pastor in three churches in Texas, Pennsylvania, and New Jersey before devoting himself to full-time academic ministry. He now serves as Assistant Professor of Pastoral Counseling at the Southwestern Baptist Theological Seminary and as an Adjunct Professor at Dallas Baptist University. Additionally, he serves as the Missions and Evangelism Pastor with Lamar Baptist Church in Arlington, TX. 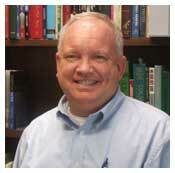 Dr. Penley holds a Bachelor’s degree in psychology from Dallas Baptist University, a M.Div. from Midwestern Baptist Theological Seminary, and a M.A.C.S.S. and Ph.D. from Southwestern Baptist Theological Seminary. He believes that counseling should be returned as a primary ministry of the Church and encourages pastors and students to reclaim their ordained role. He is the co-author of two books: Counseling by the Book and Cross-Cultural Leadership. David has been married to his wife Sabra for 29 years and they have two children, Elyse and Philip.